This is the question that most people would like to get answers. If you own a smartphone, you know how enjoyable to switch from one ringtone to another listening to your favorite tunes. Where do you get this ringtones from? Smartphones come with some random ringtones, but you will find list not having your favorite ringtones. When you realize that your smartphone doesn't have your favorite ringtones, you don't need to throw it away. You can still make ringtones from YouTube and transfer them to your phone. But it is not a simple process as you may have thought especially when transferring them to an iPhone. We will tell you how to do this in this article. iTube Studio can help you download YouTube MP3 file directly and then make ringtones. The process of downloading YouTube to MP3 is pretty easy to be done, and the program is very easy to be handled. This method requires two parts, first part requires you to download YouTube mp3 and the second part requires to make ringtones using iTunes. Download iTube Studio from below. After the installation is complete launch the iTube Studio program. 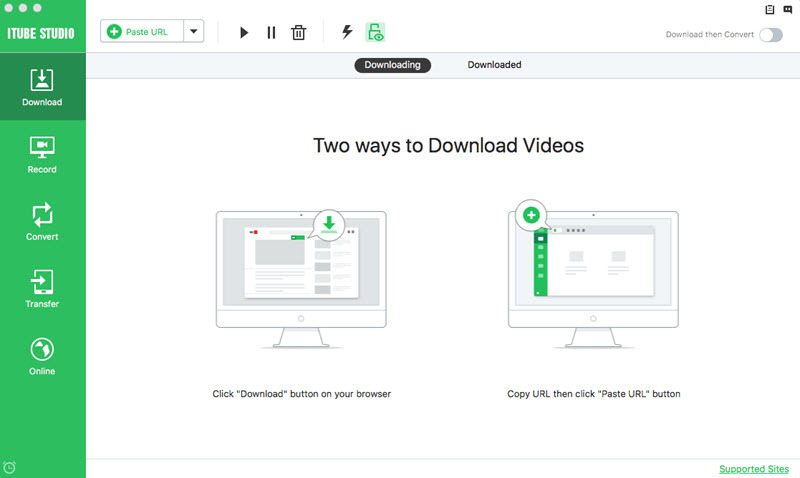 There are two ways to download videos using this program. Option 1. 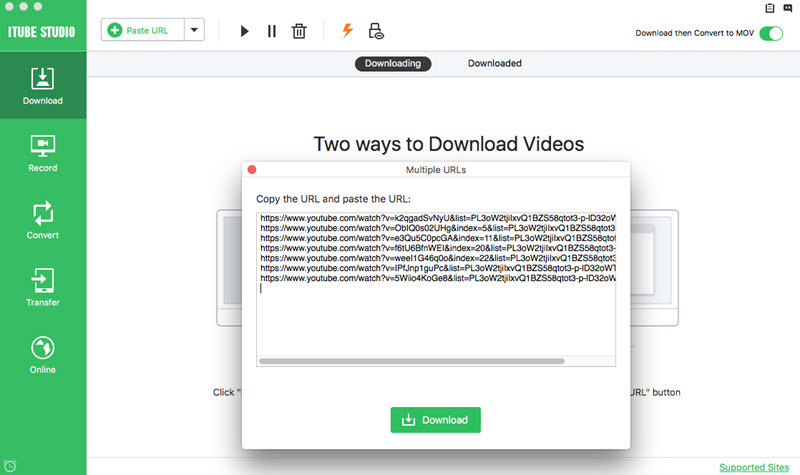 The first method is that you can copy YouTube video URL and then click Download MP3 button by clicking the inverted triangle beside the Paste URL button. 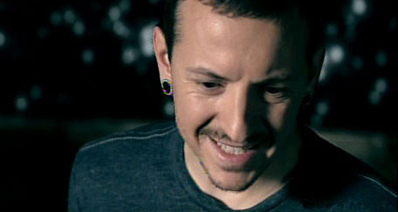 Option 2. The second option is to install iTube Studio Extension in your browser. 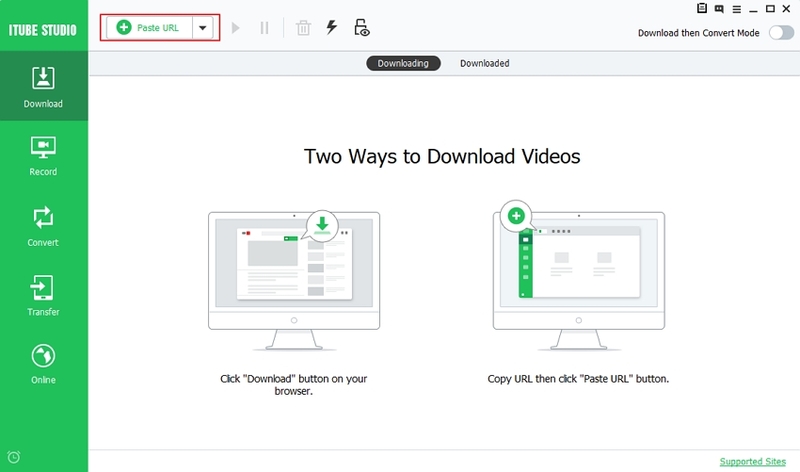 When you play a video in your browser, you will see a Download button below the video screen. Now you've successfully get the sogn in your computer, and you can take advantage of iTunes to make ringtones. The following steps shows you how to do that. Step 1 Start iTunes on your computer and select the song you want to convert, then choose Get Info. After that, select the stop time in the pop-up window. 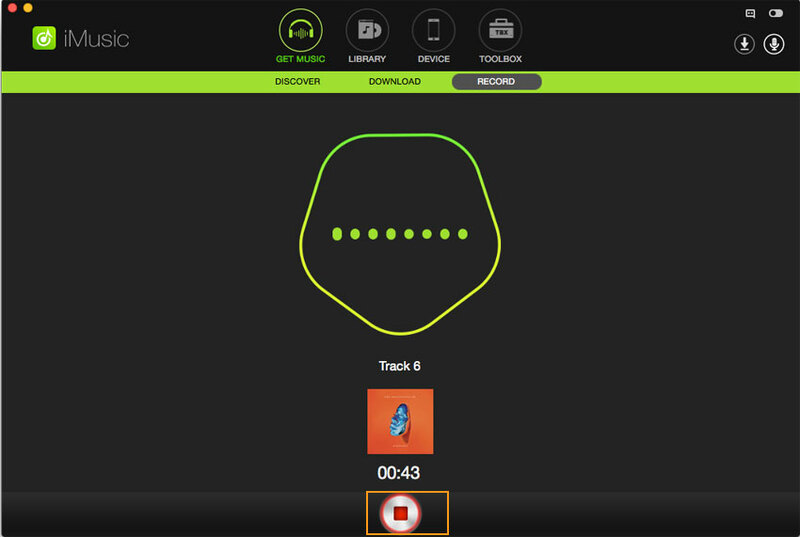 Step 2 Go to the selected song and right-click it, then choose Create AAC version. Step 3 Now locate the file on your computer, and right-click it, then change the file extension to .m4r. Step 4 Go back to the iTunes home section, click on the drop down men of your iTunes music library. Select the option labeled "Tones." From the list of displayed song, you will now see your ringtone. The second method is to record YouTube music directly, and then make ringtones with iTunes. If you want to record YouTube music, you can take advantge of iMusic, a powerful music downloader and recorder program to get the work done. 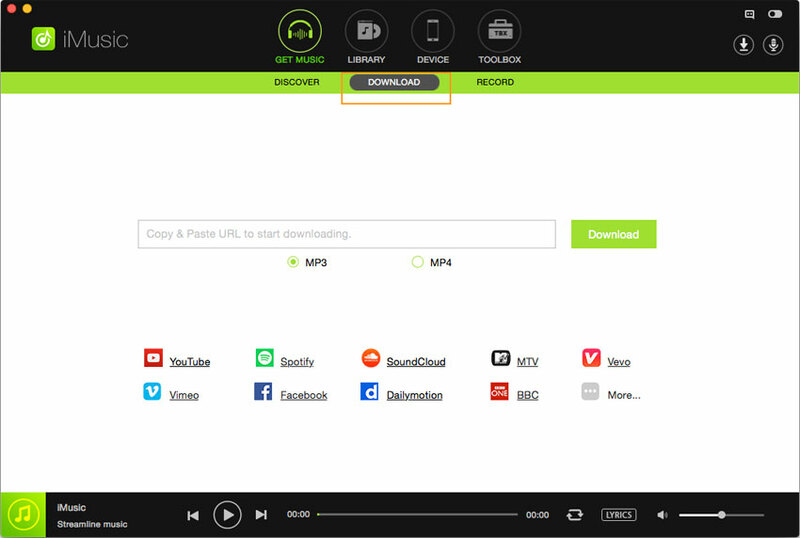 The program is helpful for you to download music from the music sharing sites, and it enables you to raw record audio files with no quality loss. In this part, we're going to introduce how to record YouTube music with iMusic, and how to make ringtones with iTunes. Download and install iMusic on your computer, then start it. 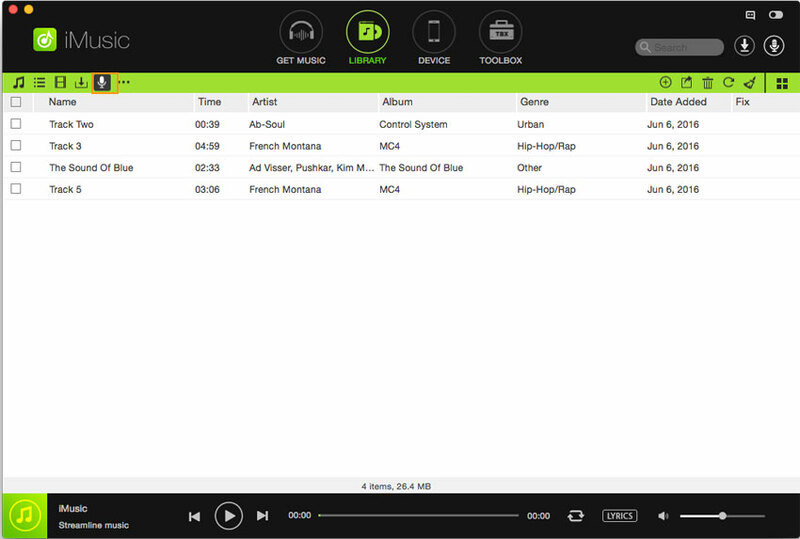 The program will show you the main interface of Get Music. Now you can choose Record section in iMusic homepage, and click the Record button at the bottom. After that, play the music you want, and iMusic will start recording music from YouTube. The program will get the ID3 tags during the recording process. After recording the music files, you can locate it in the Music Library. Now you are able to create ringtones with iTunes with the steps mentioned above. 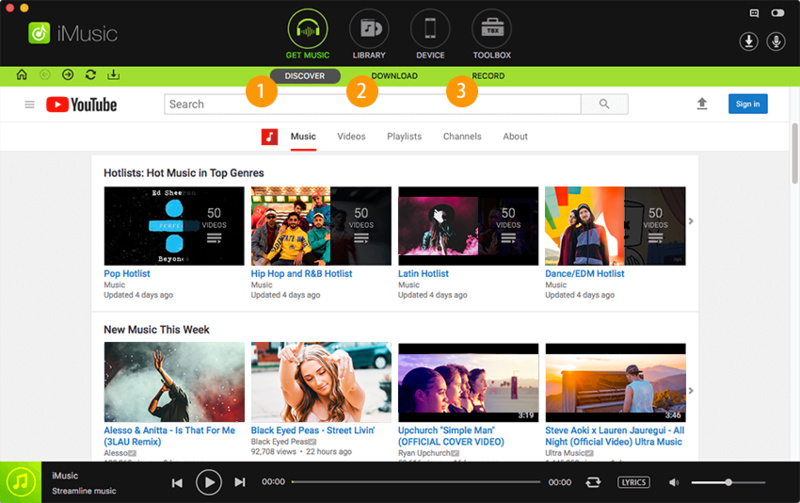 The third method of creating ringtones from YouTube is using an online ringtone maker site. The best online that I normally use is Brinked.com. This site offers an effective web friendly application that can convert any audio file into a ringtone. You can convert any MP3 songs that you download from YouTube into a ringtone for your iPhone. I said this site is effective since it can capture the streaming audio from any browser and turn it into a ringtone. The site is a free site and you will find the process very easier to understand and follow. Step 1 In order to use this web application at Brinked.com, you need to register with them. After creating your account on this site, then follow the guidelines below to create your ringtones from YouTube. Step 2 Go to the streaming YouTube video that you want to turn into a ringtone. 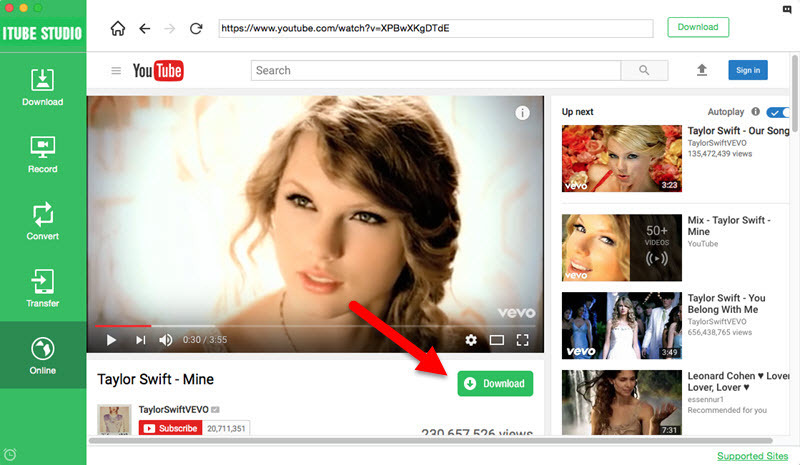 Copy the URL of this YouTube video in your browser and paste it at the button labeled "Create from YouTube URL." Step 3 Immediately after pasting the URL, the web application and this site will start to load the file as shown in the web image belew. Step 4 After loading is complete, the you will see an audio spectrum graph. Select the part of the YouTube song that you want to turn it into a ringtone. You can either choose to enter the numbers or use the mouse to drag and select the part that you need. Step 5 After selecting the part that you want to convert to a ringtone, make sure to name it. Step 6 After naming your file, click next to complete the process. Your ringtone will be created. The time that this process takes varies depending on the type of the internet you are using. If you are using superspeed internet, the process will take few seconds to complete. It is recommended not to click on the opton that says "Send to Phone." 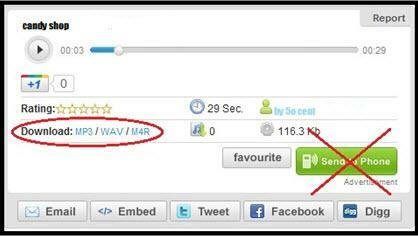 If you click on this button, you will be taken to some sites that sell ringtones. Step 7 After creating your ringtone using the web app above, it is now time to download the ringtone to the audio format that you prefer. If you want to use the ringtone on iPhone, download the file into M4R format but if you want to use it on an Android phone, convert the file into MP3. If you want to transfer the file into your phone, you need to follow specific guidelines. I own an Android phone, therefore the process of transferring the converted file to use it on my phone is very simple and quicker. If you are using an iPhone, what you need to do to get the ringtone into your phone is to drag the M4R file that you downloaded onto the Library section of iTunes. The next step is to transfer the ringtone from the iTunes to your iPhone.